New Building! The primary section of Udavi School begins at 8:30 am with a collective assembly that lasts for about 20 minutes every day. The morning assembly includes chanting of slokas and sharing of songs, stories, jokes, poems and ends with a short period of concentration with silence. Then the students proceed to their respective classes and occupy themselves in various activities related to different topics organized by the teachers. A normal day has two time slots of 1h 30m each during morning hours with a short break of 15 minutes for snacks and a lunch break of one hour at noon. In the afternoon, from 1p.m. to 3p.m. the classes take turns to spend 40 minutes in the library for silent reading to improve their fluency in reading. At Udavi School the subjects (Math, Science, Tamil, Social and English) are integrated into various projects according to the level of the children for better understanding of the content. This helps the child to explore and make new things using their own ideas and with interest. However there are specific lessons that are planned for various subjects in the class. The last 1h 15m of the day children are encouraged to participate in extra curricular activities developed in its campus as follows: computing, Odissi – Indian classical dance, drama, music, tailoring, clay modeling carpentry and art. The School gives importance to the growth of the children’s health and has developed a physical education program with experienced teachers to strengthen the overall performance in the field of physical education. Here the students are encouraged to play games like football, basketball, shuttle, volley ball, table tennis and many other fun games. The sports program is the last activity of the day in the school that starts at 3 pm and ends at 4 pm without exception. Several outdoor trips have been organized as educational tours to learn things just by being out of the classrooms. A trip to Vedanthagal bird sanctuary and Vandalur Zoo was one of them as part of the animal project. 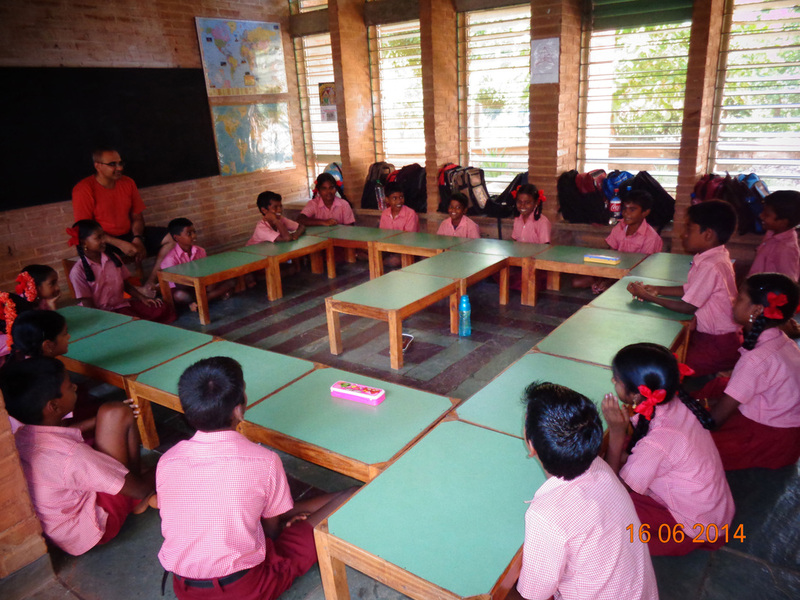 The School implements the principles of Integral Education in the light of Sri Aurobindo and the Mother. Our teachers are the followers of the Mother and Sri Aurobindo and guided by the principles of Integral Education. At Udavi teachers are encouraged to use progressive methods of teaching that are activity based and project based teaching to make the lessons interesting and create an atmosphere of the joy of learning.